Rajghat is a memorial dedicated to Mahatma Gandhi in New Delhi. It is located on the banks of river Yamuna. Gandhi memorial is a black marble platform. It is surrounded by a beautiful park with labelled trees. 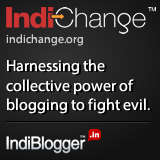 Rajghat is built at the spot of cremation of Mahatma Gandhi, the father of the nation. An eternal flame burns day at night here. Its spectacular sight can be viewed from any building in Old Delhi. It stands a high ground for Muslims living India and abroad. 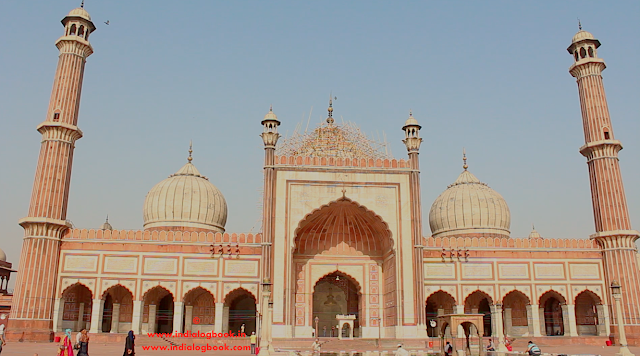 Jama Masjid is one of the finest examples of Mughal architecture in India. 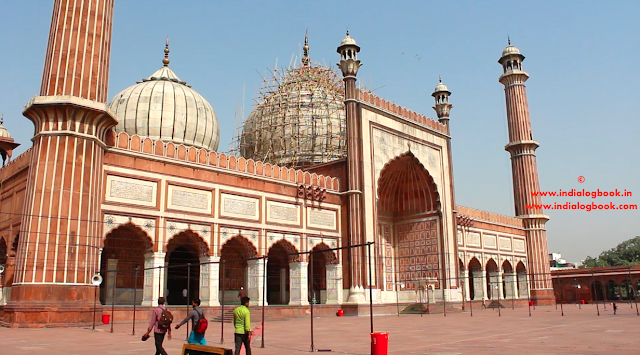 Once a royal mosque of Mughal emperors Jama Masjid was known as 'Masjid-i-Jahan Numa. Jama Masjid's magnificent courtyard is capable of holding 25,000 devotees. Mughal emperor Shahjahan who built Taj Mahal also build this largest mosque of India. Jama Masjid has three gates, four towers and 40 meter high minarets. People can climb to the minarets after paying fees. The minarets consist of five storeys, each with a protruding balcony. Badshahi Masjid (mosque) of Pakistan which was built by Mughal emperor Aurangzeb has a similar architectural plan like Jama Masjid. Travellers visiting this great mosque can hire robes at the north gate which also gives a glimpse of small shops with delicious non-vegetarian food. 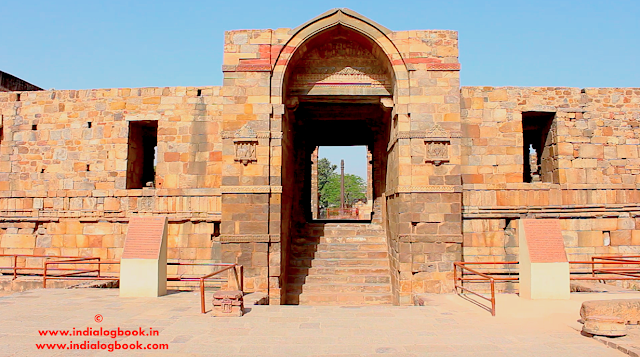 Qutub Minar is one of the most spectacular monuments of India. It is one of the finest examples of Indo-Islamic architecture. 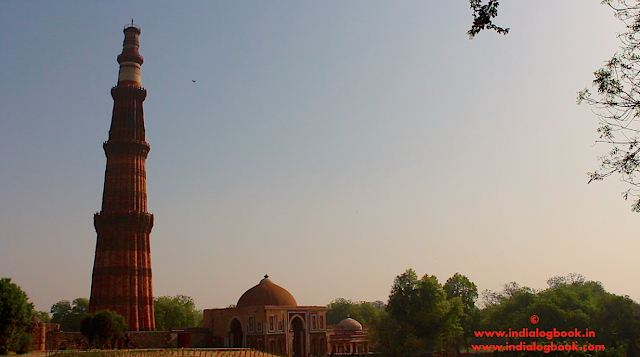 Qutub-ud-Din Aibak built this magnificent minaret in 1193 to celebrate Muslim dominance in Delhi after the defeat of Delhi's last Hindu ruler. It is the highest brick minaret in the world. 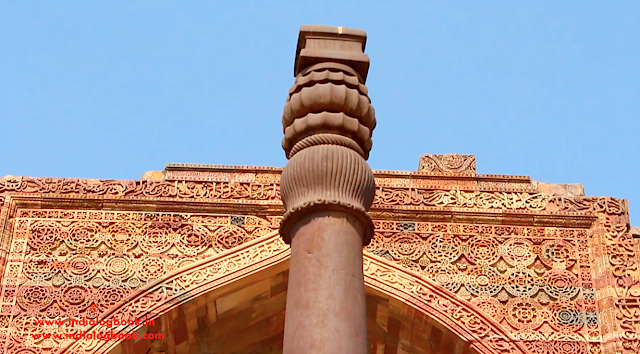 Qutub Minar is 72.5 meters high and also known as 'Tower of Victory'.